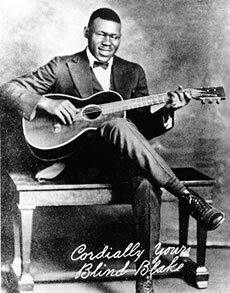 The “King Of Ragtime Guitar,” Blind Blake makes his 6-string sing on this swinging uptempo blues rag, “Hookworm Blues,” which also features the piano stylings of Alex Robinson. Blake’s vocal interlaces with the piano and guitar patterns to complete a whole much greater than the sum of its parts. This track really boogies, and it’s another fine example of an early blueprint for rock and roll. Famous for his innovative guitar work, Blind Blake recorded about 80 sides for Paramount Records.